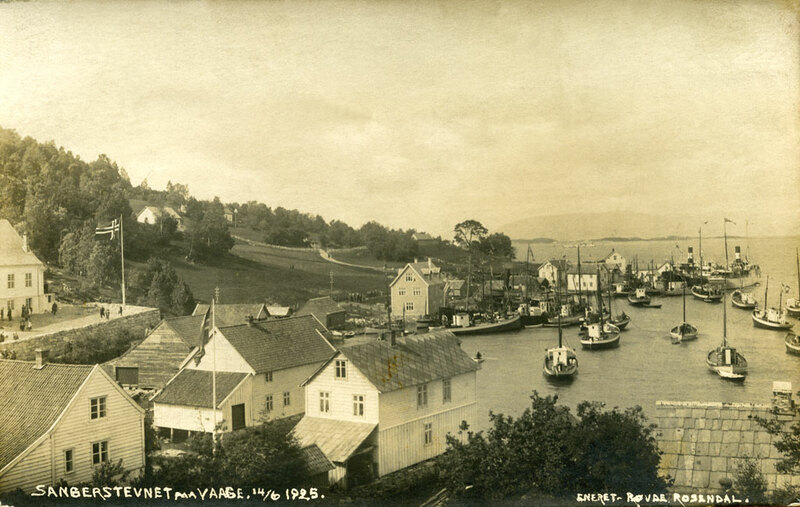 Våge, the commercial centre of Tysnes, in 1925. The majority of yacht sailors came from Våge, Lunde and Reksteren. Typically most sailors had their origins along the south and west coast of Norway, in places like Horten, Arendal, Egersund, Stavanger, Karmøy, Bømlo and Tysnes. There are many reasons for that. First of all there’s the potential need for a local maritime “education”, based on seagoing activities, often in smaller vessels, ensuring the delivery of seamanship at a young age, from one generation to the other. Secondly, the prerequisites for emigration to America need to be in place, such as poor financial outlooks for sailors back home. The maritime motorisation rendered many a sailor obsolete, e.g. in fisheries and the freighter fleet. Thirdly, there’s a need for a vanguard, in order to secure a foot on the inside of American sail racing, in which individuals who prove themselves have an opportunity to advance. With a handful of Norwegians on the inside, that opportunity presents itself in the form of an attractive job market for fellow countrymen who find themselves in the right spot at the right time, provided they’re in possession of the necessary qualifications.